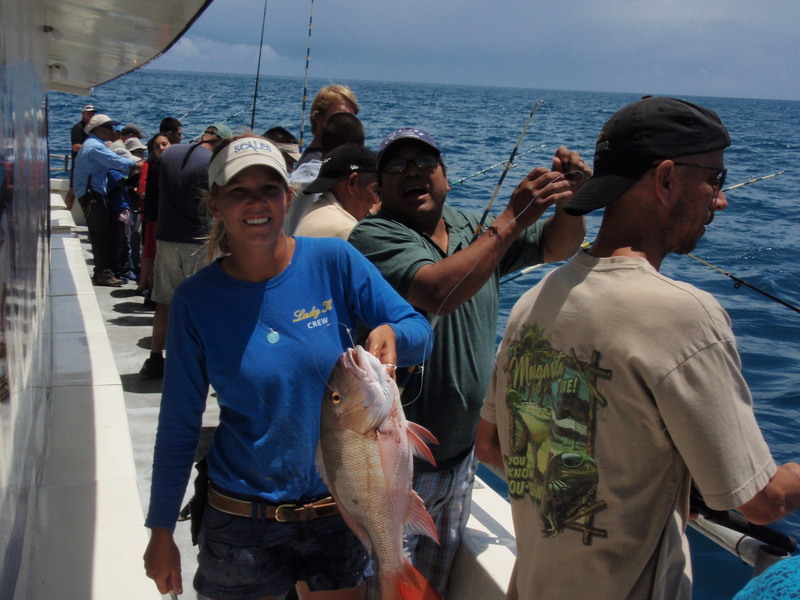 Lady K mate, Chessy, works hard along the rail and is caught in the act of helping a customer bring his nice Mutton Snapper catch aboard where the fish will be iced down then prepared for the table back at the dock. 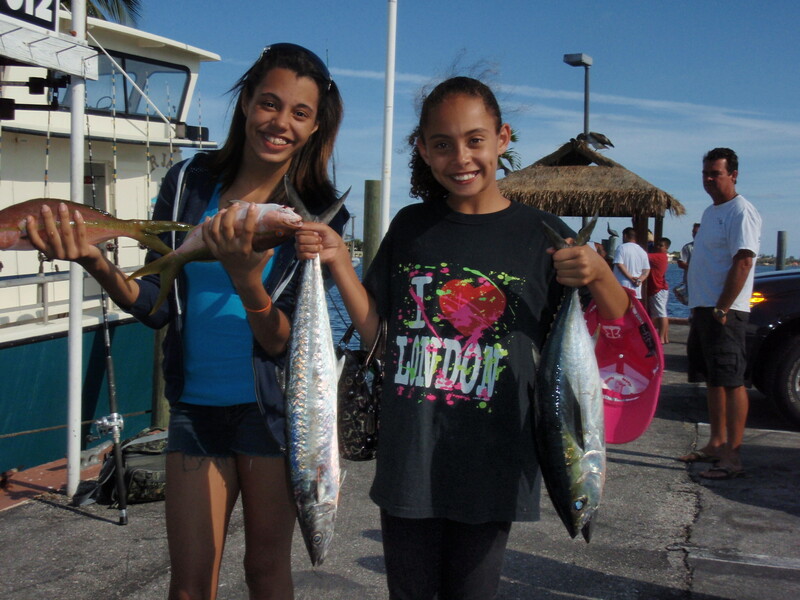 Lady K junior anglers Allie and Erin fished with their mom during an afternoon trip and showed all the guys how to catch fish. 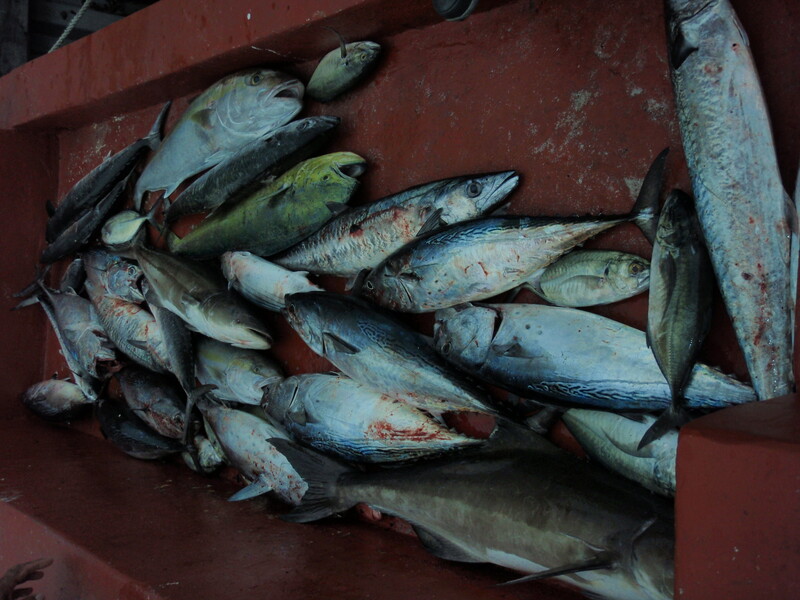 Here they display a wonderful catch of Yellow-tail Snapper, King Mackerel and a Black-fin Tuna. Excellent job ladies. Keep up the good work! 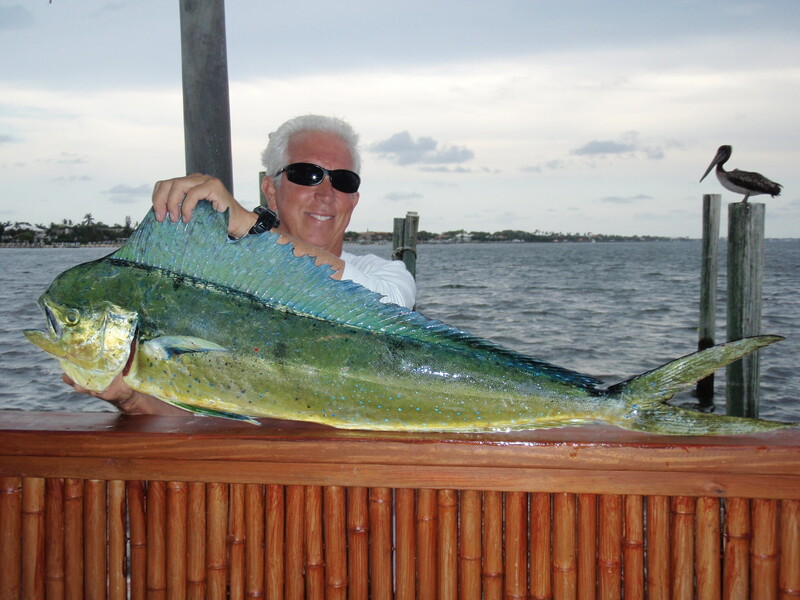 Some bigger Mahi Mahi have been showing up in the Lady K’s home waters. Jimmy displays a beautiful cow caught during an afternoon trip which ate a free-lined sardine. Most of the average Mahi are around five to six pounds but look for the larger fish in the 20 to 30 pound to be just outside or under the schools of smaller fish. 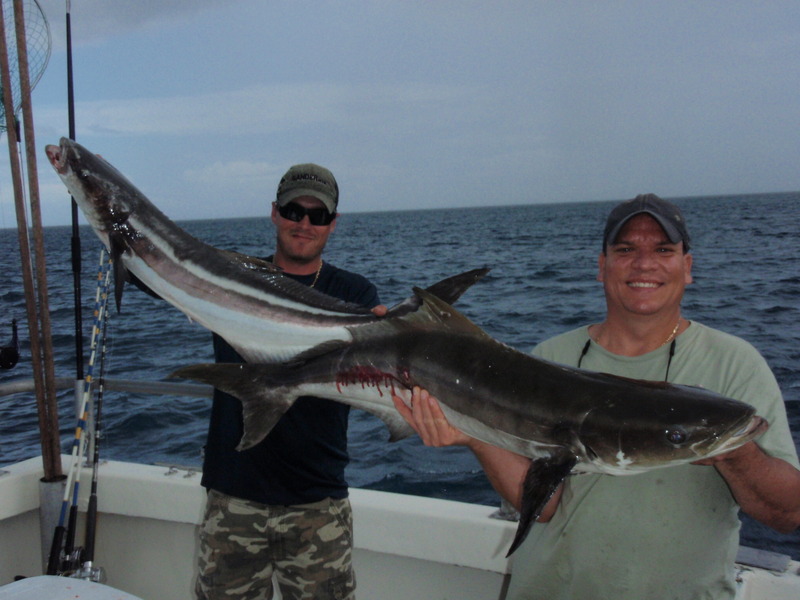 Cobia are still moving through the area and are being caught by anglers fishing near the bottom for snapper as well as near the surface by those trying their luck for Mahi Mahi and King Mackerel. The big fish are an excellent surprise for anglers looking to take home excellent table fare. Mixed catches of fish should continue throughout May as fish continue to migrate through the area. Look for continued sightings of sharks, sea turtles and porpoise during your offshore experience aboard the Lady K. Be sure to bring plenty of sunblock for the family as we near the summer months or check out one of our 6:30pm to 10:30pm night trips for a cooler alternative. Thank you for visiting and fishing Florida, the fishing capitol of the world.